What if you were told that, with one tool, you could build stronger relationships with leads, convert more leads into customers, optimize workloads, scale your business and increase revenue? You’d probably be slamming the “sign me up” button, anxiously awaiting the results. As it turns out, this tool isn’t hypothetical: It’s sales force automation, and it will save you and your business a lot of time and money. Sales force automation streamlines your sales team’s workload, even if your sales team is composed of you and only you. 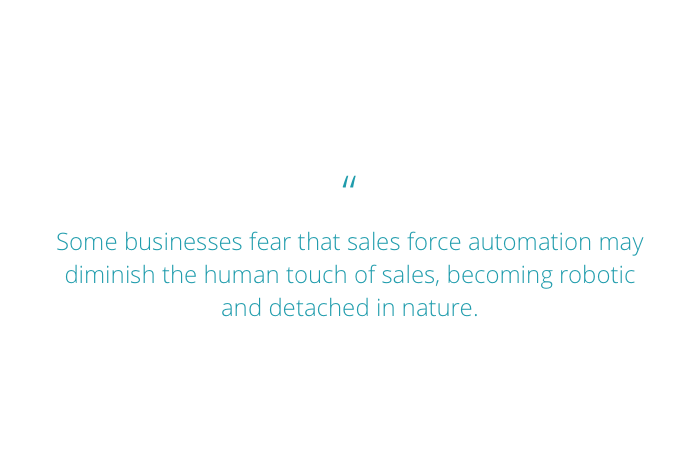 Some businesses fear that sales force automation may diminish the human touch of sales, becoming robotic and detached in nature. However, sales force automation will do exactly the opposite and will boost the connection your sales team creates with your leads. By saving time on quotidian tasks, your sales team has the opportunity to engage with your leads on a larger scale. Here are seven sales tasks that you can start automating today to save time and money. How many hours have you spent hunched over your computer, writing email after email, inundated and exhausted? 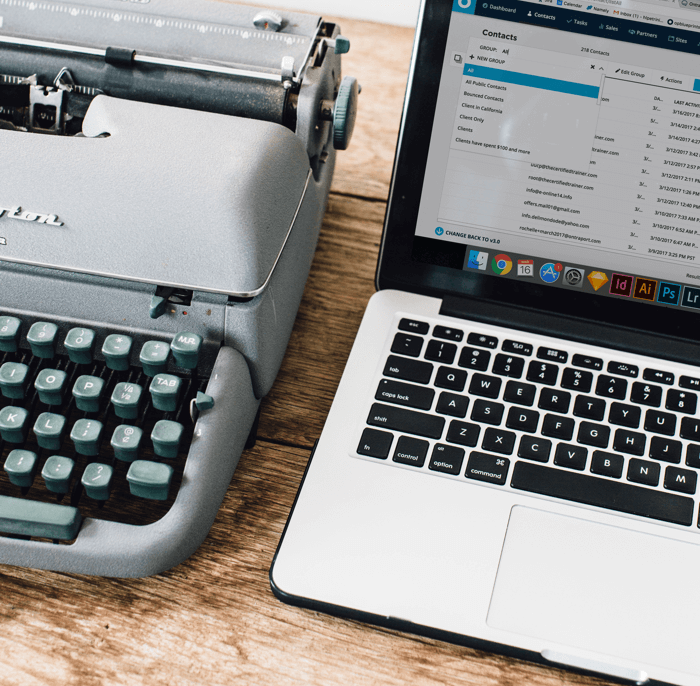 Many sales reps believe that drafting individual emails is key – your leads can sniff a pre-written email, which will undoubtedly have negative consequences for your business. Yet maintaining personalization without writing each email is possible with sales force automation. In ONTRAPORT, you can use pre-written emails with merge fields. A merge field will autofill information from your contact’s record, such as their name or location. Simply pre-write emails for specific situations or points of times in your buyer’s journey, then include merge fields within these emails. Consider what emails you can expect to send repeatedly to your prospects and customers: thank you emails, welcome emails, FAQ emails, check-in emails. Then write emails with appropriate merge fields for these situations. Imagine sending a check-in email to your leads, addressing each by name and asking each how the weather is in their hometown? This small detail can ensure personalization while negating the need to write each email, saving you and your team a lot of time. Prioritizing leads is yet another sales task that is essential in a successful sales strategy. Without prioritization, you may end up ignoring high-quality leads while emphasizing attention on low-quality leads. Prioritizing leads manually consists of sifting through data, such as call notes, to uncover which leads are the best to pursue: incredibly important but incredibly inconvenient. Using automated lead scoring will save you loads of time and uncover your most engaged leads. With lead scoring, you assign point scores for actions taken by a lead. These actions can include making purchases or subscribing to your newsletter, among other behaviors, or demographic information. ONTRAPORT’s lead scoring can also assign points for actions that can’t be tracked manually, such as website clicks or opened emails. ONTRAPORT automatically calculates and compiles point totals, presenting you with a neat and organized list, completed in a fraction of the time. You can focus your time on your more qualified leads, which translates to more human contact and a stronger connection with those who are most likely to buy from you. You should never let a good lead go cold. Sometimes follow-up calls are missed or forgotten, and sometimes a good lead simply goes unnoticed. 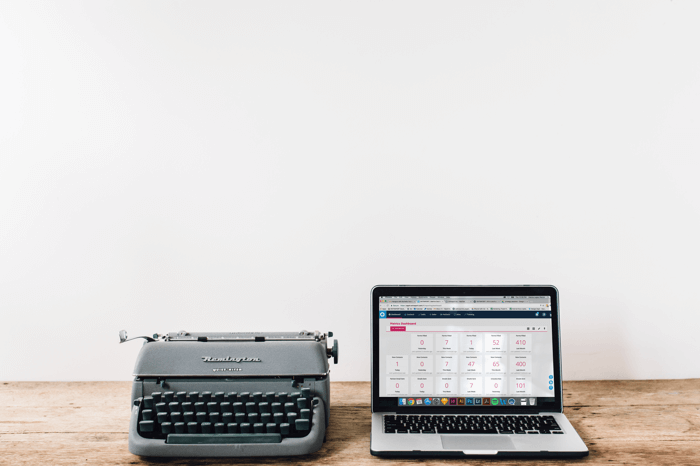 After connecting with high-quality leads, many sales reps have to input a follow-up call into a spreadsheet or calendar. The first task to tackle each day is checking these calendars or spreadsheets to see who is up for a follow-up call — an inefficient and sloppy method. ONTRAPORT can organize follow-up tasks for all of your leads with one simple tool: task automation. After making a call, your sales team can simply log the call and its outcome. This will trigger alerts for non-automated task follow-ups, such as additional phone calls or discussions to have with coworkers about the lead or sale. Say your sales rep calls one of your hottest leads, but he or she doesn’t pick up so your rep leaves a message. With sales force automation, the rep can simply mark the outcome as “left a message,” which will automatically set up an alert to make another call in a week. Now your whole team knows that the lead has been contacted and that follow-up will take place at a later date. Good leads may also come from abandonment — leads may begin filling out an order form, only to abandon it halfway through. Some sales teams simply do not have any tools to address this problem, whereas some rely on an abandoned form email. But if the order form was for a very large sale, wouldn’t you want more than just an email to close the sale? With task automation, you can create rules to trigger alerts when specific actions are taken. If a prospect abandons a high-priced order form, task automation can notify one of your sales reps to make a call and push for that sale. Gone are the days of good leads getting ignored. No two sales teams are alike. Some sales teams are composed of sales vets, while some are mixed bags. Sales managers are stuck spending valuable time assessing each lead’s quality and interests in order to assign the lead to the most appropriate rep. With sales force automation, this can be done in seconds. Every sales team is familiar with sorting leads into groups. You might segment leads into an “already made a purchase” group or sort leads based on which of your products and services they’re interested in. Segmentation ensures that you get your leads what they’re looking for — why market an event in California if your lead lives in Oklahoma? Building lists, however, is usually a tedious task. For some sales teams, sifting through individual contact details to weed out your targeted criteria is as manual as it gets. For some, it’s uploading lists into spreadsheets and working some magic to get information sorted. Regardless of the method, it takes up time that you could be spending on nurturing leads or fulfilling more important tasks. Using ONTRAPORT’s group functionality simplifies the process into a single step. With a CRM like ONTRAPORT, all of your contacts’ data is in one place, which you can then segment based on any factor you choose with a few simple clicks. You can also assign certain groups to certain sequences and follow-up funnels to be sure they’re always automatically receiving targeted information from you. Many entrepreneurs hold physical events, such as workshops or summits, to build a better contact list but, for many, gathering contact information can be tedious. Some rely on online sign-ups for the event, but this proves ineffective when some of those sign-ups fail to show up. Many entrepreneurs rely on paper and pen, collecting contact information by passing around a clipboard. This method is time-consuming, since your sales team then has to input all of that information into your system. Why spend the time and money organizing this out-of-date collection method when you could gather this information with a tool every prospect has in his or her hand or pocket – a cell phone. With sales force automation, you can automate SMS marketing, one of the best methods of staying in contact with your leads. During your live event, you can have the audience opt in to receive more information from you or subscribe to your newsletter by sending a text message to a unique number. Their message will automatically transfer their contact information to your database. Sending SMS messages goes beyond just contact information collection. You can send specific messages for promotions or for appointment reminders. Using SMS is essential for every sales team: Messages sent through SMS have an open rate of 98%, a staggering difference from email’s average of 22%. With ONTRAPORT, you also get the advantage of two-way SMS communications, meaning you have the ability to send and receive personalized messages. As an entrepreneur, you need to keep tabs on your team’s performance, even when the team consists only of you. You can track how often a rep is following up, how many leads he or she has converted and more, then compile it into a report. Compiling these reports regularly, though, is time-consuming and tedious. You should be spending your time focusing on leads, not sifting through employee performance data. Instead, use ONTRAPORT’s Metric Dashboard, which provides you with a real-time snapshot of your team’s performance. This dashboard is easy to use and customizable, creating user-friendly displays of measurable stats. These stats can include the number of contacts who carried out an action, conversion rates, and the average time it takes a prospect to become a customer. This dashboard gives your team an easy glimpse into what’s working in your sales strategy, and what’s not – and it’s all done automatically so you don’t have to spend your time compiling another report. Emily is a graduate of the University of California, Santa Barbara with a B.A. in Communications. As an aspiring writer, she has been doing work with ONTRAPORT and other local businesses in Santa Barbara. When she’s not sitting at her desk writing, you can probably find her at the beach with her French Bulldog or taking naps in the sunshine (with sunscreen, of course). Have you used any of these sales automation tools, and how have they helped your business? Leave us a comment below!